This week’s three gems are here. Let us know if you already enjoy them. 1. Spotify: is an app aimed at the music passionate that love browsing through songs and discovering new and exciting tunes. 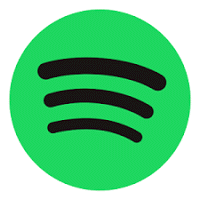 Although there are several good options out there, Spotify is for sure one of the best. It gives you access to an entire world of music, more than you can possibly grasp. The premium version is based on a subscription fee (around 7 euro/month), but you can try it for free for the first 7 days. The best way to go around it is to download in this trial period your favorite music that will remain available for you to listen offline. Another cool thing to do is, once you have a Spotify account and you are well past discovering and downloading your favorites, head on to Forgotify, a branch out of the initial app, that puts on display unheard, indie, fringe, hipstery music, that will keep you away from mainstream but will also get you engaged and inspired. 2. 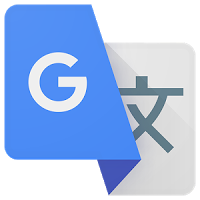 Google translate – the app. I might have proposed it before, but even if I did, I cannot stress enough how brilliant this free Google tool is, and how much is changing our worldview. I’ve been long aware of its features except for the speech input option, which, for some reason, I’ve been missing. I am sure I have mentioned before that I am struggling to learn Greek. Well, I hear a lot of words or phrases that I am not sure what they mean and up until now had no chance of finding out because I didn’t know how to spell them either. Well now, I just speak them into my phone and, voila! A whole new level. The best part is that your phone can act as your personal translator, you just have to ask people to talk into your phone. If you are traveling abroad you must have this app into your phone. 3. Pwned – it’s a website that collects the email addresses and usernames exposed by various high-profile hacks and that will let you know if your personal data has been compromised. You simply have to enter an email address or username you commonly use and the site will cross-check it against recent data breaches, telling you which companies leaked your data and which types of data have been leaked. Let us know if you like our suggestions and please feel free to add your own in the comments bellow or on our Facebook page @newsocialmediageek. Have a great Tuesday and a “big” week ahead!